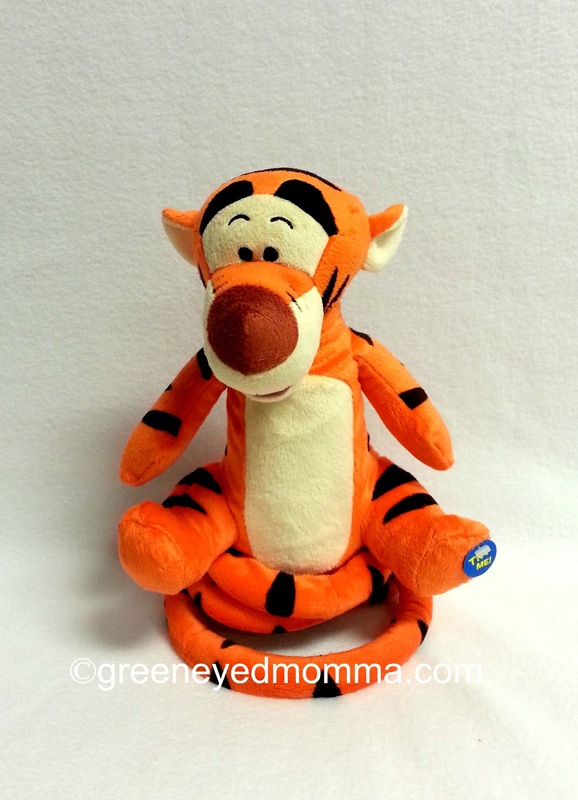 Do you have a Tigger fan in your house? My little guy loves him, and has just about the same level of energy as Tigger! This new toy from Just Play Toys, is exciting and entertaining for your child, and would make a great holiday gift this year! "Tigger's gonna you bounce, bounce, bounce," with a dancing, shimmying, rocking version of this lovable character from Disney's Winnie the Pooh. While playing his signature theme song to the tune of a classic hip hop song, Tigger shows off his best dance moves in sync with the music. Kids can dance and giggle along with Tigger as he bounces to the left, bounces to the right, rocks back and forth, and "Wiggety, wiggety wiggles!" My three year old loved the packaging, and could not wait to free Bounce Bounce Tigger from the box! He love the easy to see through packaging and details of what Tigger can do! My little guy pressed the switch found on Tiggers foot, and was delighted to find that his little hands could fully operate Bounce Bounce Tigger on his own. My little guy danced right along with Bounce Bounce Tigger, and loved that he could laugh and say "Wiggety, wiggety wiggles!" Bounce Bounce Tigger is plush and soft to cuddle, when he is not bouncing or dancing. He bounces on his coiled tail, and and has full movement of the head as he sings. You will love to watch your little one's reaction to all of the fun things that Bounce Bounce Tigger can do! 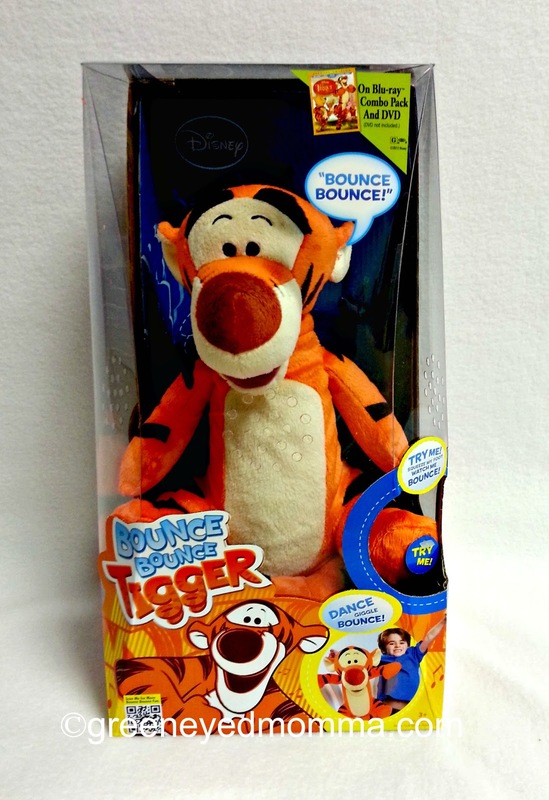 Will you invite Bounce Bounce Tigger into your home this Holiday Season? Just Play Toys can be found on Twitter, Facebook, and Youtube! 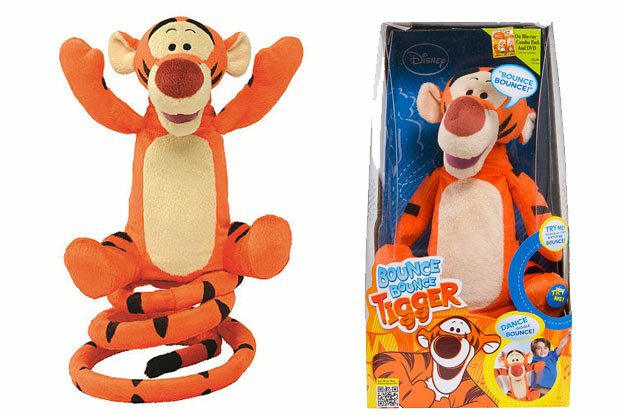 Bounce Bounce Tigger can be purchased at Target, Toys R Us, Walmart, and K-Mart this Holiday Season. *I was not compensated for this review, but sent one Bounce Bounce Tigger for my personal review, on behalf of Just Play Toys and Ren Beanie Public Relations, all thoughts and opinions are my own.